I totally love this stamp from Motivet, a new one in my collection. I bought three of Hilda doing different things because I think she is adorable and just makes me smile when I look at her. I colored her using both copic markers and coloring pencils with the blending stump. I also accented some of the copic area with further color by adding coloring pencils and smoothing it out with blending stumps as our fearless leader at Prairie Fairy Digital Stamps taught me. I wasn't sure about the color combination at first, but now I really love it. 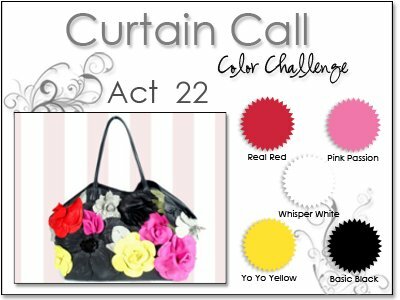 It is from Curtain Call Color Challenge Act 22, however the deadline was yesterday so I am too late to enter it. 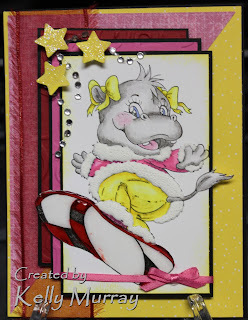 The sketch is from Midnight Madness Sketch Challenge 46. This sketch is open to so many possibilities. I am also entering it at Cute Card Thursday's challenge - dimensions. Oh yeah, I was going to give some details, I ran the pink and red rectangle through the Big Shot with the Swirly EF, then matted them. I used crystal effects on the snowboard, although my copics weren't quite dry and it smeared a little. I have iridescent ice EP on the punched out stars and put liquid applique in the fur areas, let dry overnight and then heated it up. Hope you like it as much as I do!! Kelly you color combination is just fabulous. I love these bright vivid colors that just want to make you smile. Your image is just too cute and adorable and colored magnificently. What an absolutely yummy card. 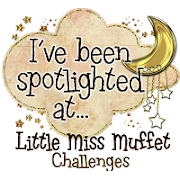 Thanks for playing along with us this week and the Midnight Madness Sketch Challenge. We appreciate you gracing us with your fabulous creation. That is hilarious and way too cute! I love the bright and happy colors and your coloring as well. Thank you for playing with us at the MMSC this week! Well, if this card doesn't put a smile on your face, you're just too crabby!!! What an adorable image. I LOVE her hair bows and your coloring is superb. Great bright fun colors too. Glad you could share your card with us again this week, always a pleasure to come see what you're creating. Great take on the sketch too. 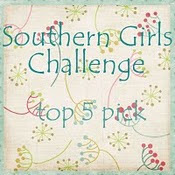 Too Cute :) Love your color choices and image. Wonderful take on the sketch. Thank you so much for playing the Midnight Madness sketch challenge this week. 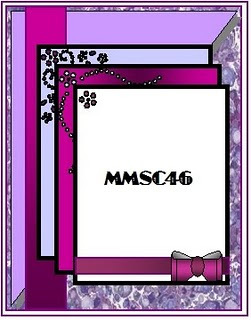 Looking forward to seeing what you will do with MMSC47. cute card! thanks for joining in with us at CCT this week.